Ground Breaker Brewery & Pub. 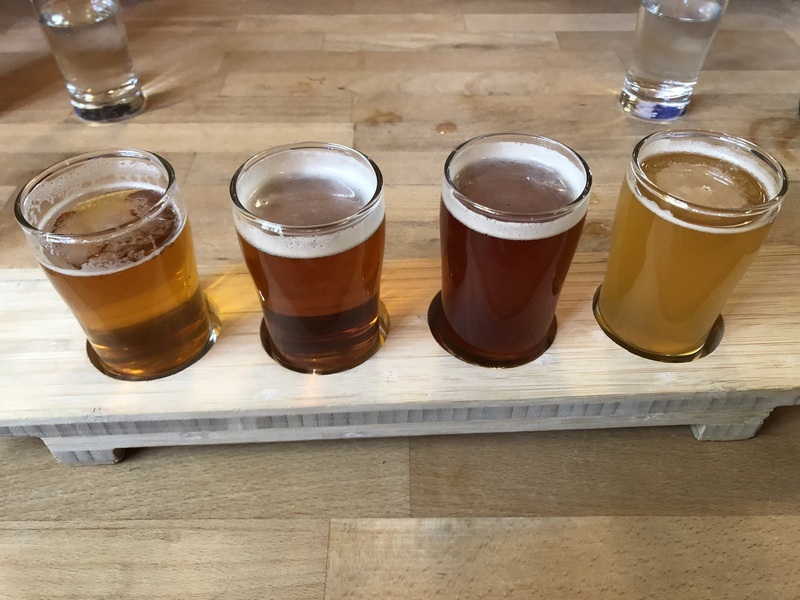 Where gluten-free people can have a tasting flight of fresh draft beer. Pale Ale, IPA, Hibiscus IPA, and Mango beer. Pre-XOXO early dinner with @Aleen snd Justin.